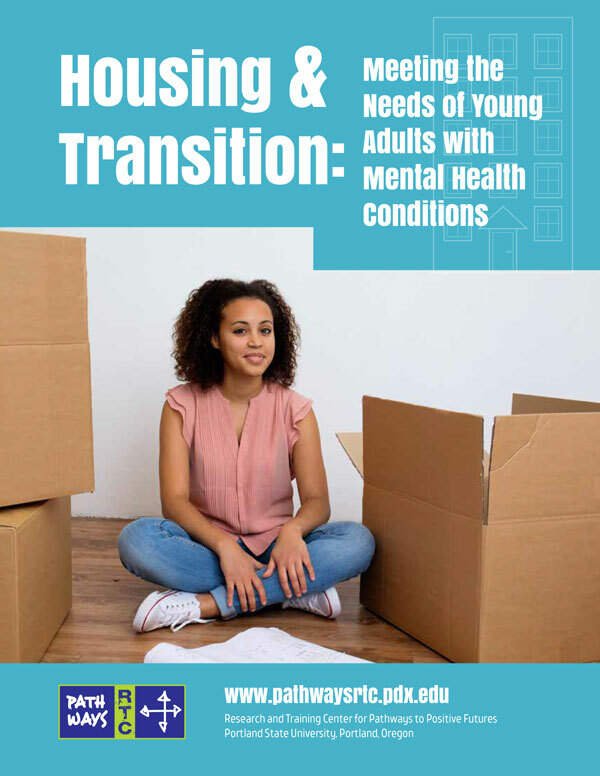 This report addresses challenges faced by transition-age youth and young adults with mental health conditions as they try to find and maintain stable housing. This document was written specifically for program designers, administrators, and policy-makers, and others who are planning to develop or modify housing supports that are available to young adults. The document is grounded in two critical considerations: 1) the current political and economic conditions that affect the availability of affordable housing also restrict the availability of living wage employment for young people and 2) information about the needs and preferences of youth and young adults with mental health conditions regarding how and where they live, spoken in their own voices. The first section of the report outlines the challenges faced by transition-age young people seeking housing, and highlights program and policy options that are designed to address these challenges. This section outlines social, economic, and political factors that influence the housing environment that affects most transtion-age young adults. This section includes a review of literature featuring first-person accounts from young people about their transition experiences and preferences, resources that were helpful, and issues that were difficult. This section describes some of the program options that are available for supporting young people with mental health challenges in their search for stable housing, as well as principal issues to be considered when designing housing support systems. The final section concludes with recommendations for needed research and a discussion about housing issues for young people within the context of public policy. The appendix displays relevant studies organized by category, including adult mental health, minority issues, cross-system studies, juvenile justice, physical and intellectual disabilities, homeless youth, child welfare, and youth mental health.